UPPER WEST SIDE — It was a Chance encounter that turned into true love. 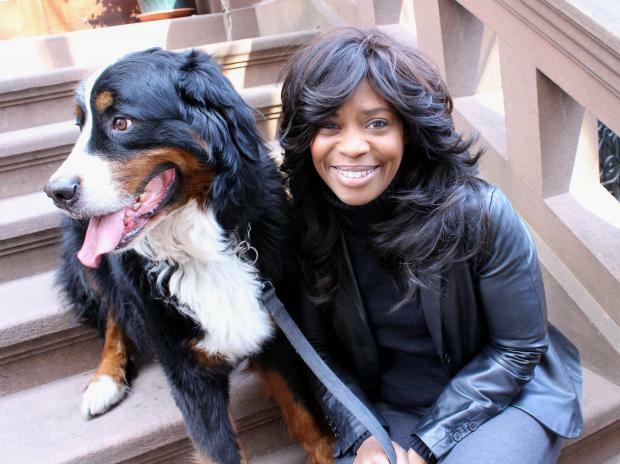 Upper West Side author Yvette Schmitter's beloved Bernese Mountain dog — whose name is Chance — helped turn a flirty daytime exchange with a handsome stranger into something more, in a sign of the area's grounded approach to life and romance. After hitting it off with the man last November and joining him for coffee at Aroma on West 72nd Street, "He asked if he could come with me to pick up Chance, and Chance loved him right off the bat," said Schmitter, 42. "I remember like it was yesterday." Schmitter is one of the many singles finding success by shunning the rambunctious atmosphere of downtown bars and clubs for the Upper West Side's sophisticated dating scene in search of a stable relationship. The vast open spaces of Central and Riverside parks, along with pet-friendly stores and cafés with toned-down evening scenes, all create an everyday environment to meet someone ideal for the long haul. "This dating scene is for men who want a woman who has her life together," said Terri Trespicio, 39, a lifestyle expert, media talent coach and single Upper West Side resident. "She has her own impressive career, her own money, has great taste and is not trying to live cheaply." Beyond the Upper West Side's done-deal reputation, reinforced by the many, many married couples and families that visibly populate the neighborhood, the area is also "teeming with single, smart professional women who are looking for men," according to Trespicio. For Art Malov, who co-founded DatingCoach.com seven years ago, immersion in the family-friendly ambiance of the neighborhood is a telltale sign that daters are more serious. "It means they already like that atmosphere," said Malov, who lived on the Upper West Side for several years. "Why would you live in that environment if [family] wasn't on your mind?" he asked, noting that it is not just the Upper West Side women, but it is on the minds of men, too. The neighborhood is also largely free of the fraternity-style night-owl bar scene that fills neighborhoods such as the Lower East Side, creating an opportunity for healthier meetings between singles, experts said. "It is a beautiful neighborhood, and it is definitely a place where people should feel safe to meet other single people," said Jean-Michelle, a 33-year-old who has lived in the area on and off for several years. Schmitter found the vibrant daytime activity of the Upper West Side and happy hour-centric bar scene the perfect atmosphere for a meeting of real substance. "It is conducive to just talking to people," she said. The area's small, village feel and the sight of familiar faces again and again creates another civilized opening into a relationship, according to John Keegan, a dating coach with the Awakened Lifestyle, who has called the Upper West Side home for seven years. "I was just walking and I would see her and wave from time to time — mini flirts I call them," he said of a neighborhood girl he dated. "Then I paid her a compliment, ran into her again, and then we went out." There is one drawback for singles seeking love on the Upper West. It can be a challenge if they refuse to consider dating divorceés — who are plentiful on the Upper West Side, experts said. "Some might think [a divorced man or woman] has baggage, but I think someone who has been through that has far more life and depth to him," said Trespicio, who wrote a blog post on the subject. Schmitter dated a few divorced men in the past, and her current 46-year-old boyfriend also has a daughter from a previous marriage. "They were able to live with someone and understand sacrifice, but it goes both ways — you could meet a divorced man and you understand why they are divorced," she said. Going out alone is the best way to take advantage of the Upper West Side scene, according to single residents and dating coaches. "Don't read your Kindle. People won't want to talk to you," said Trespicio, whose new favorite neighborhood joint to bar it alone is Jacob's Pickle. "Strike up a conversation with the bartender and other people will join in." Trespicio met her boyfriend behind the counter of the Upper West Side Apple store when she slipped him her business card after he fixed her computer. "I went in and I didn't get a new iPhone, but I got a new guy," she said. With the Upper West Side's single men mostly over the age of 30, Malov said going for coffee, brunch or drinks without the company of girlfriends will also help. "Guys who are older approach much less because they don't have that drive," he said. Spending as much time as possible in a neighborhood's parks, bars and cafés on her own has already paid off for Schmitter. "You have to get out of your house, and the Upper West Side encourages you to do that," she said.